Usage of the mobile Web is overtaking the conventional Web that we’ve been accessing from desktop and laptop computers since the beginning of Internet time (or rather, the last 20 years of it). But does that mean the end of the Web browser as the universal platform for accessing online resources? Many people have looked at the rise of the app store concept and the boom in application development for Apple’s iOS platform, Google Android and others. Some even say the Web is ‘dead meat’. They’ve extrapolated a trend that sees us all abandoning the browser and entrusting our online activities to proprietary platforms owned by Apple, Google or even Facebook. I don’t think that’s how the future is going to pan out. HTML5 is leading the fightback on behalf of the universal Web, and the signs are starting to emerge that it will eventually win the battle for supremacy. I’m emboldened in this prediction by my memories of what happened the last time the conventional wisdom said that carefully nurtured walled gardens would eventually replace the jumbled chaos of the open Web. Back in the late 1990s, media companies were falling over themselves to set up their own proprietary enclaves on the Web, all believing that the AOL model was the one to emulate. That misguided belief in blind loyalty to a trusted location on the Web, by the way, is at the heart of Yahoo!’s continuing strategic confusion and is why I continue to naysay Facebook’s ultimate dominance, despite seemingly overwhelming evidence to the contrary. Here’s why these walled gardens fail to live up to their early promise. In the evolution of a new shared platform, whether it be the Web, the mobile Web, or the social Web, the early successes are achieved by companies that can control the environment they offer to the first consumers. That control allows them to manage how they deliver the innovations of the new platform. People don’t know what to expect and haven’t learn how to master these new capabilities, so they eagerly embrace the controlled environment of a proprietary platform. But once people start to learn the new skills and habits of the environment, they become more confident and demanding. Meanwhile, the underlying shared platform begins to evolve a richer standards-based environment that replicates many of the innovations of the first movers. New resources come on stream on the shared platform and, because it’s open, innovation can flourish and the choice available rapidly overtakes what’s offered by the proprietary first movers. Their walled gardens begin to give up their huge populations and eventually, bled dry by the exodus over many years, they finally relent and reluctantly adopt the open platform they sought for too long to supplant. As HTML5 takes shape, we’re now entering the first phase of this move away from proprietary platforms in the mobile web. It’s no surprise that users prefer the proprietary environments today, when so many of the richer user experiences are simply not available in present-day mobile web browsers. HTML5 changes that, as Salesforce.com [a client, see disclosure] showed off very eloquently last month in its preview of its HTML5 toolkit. Yesterday, SlideShare revealed its move to HTML5, citing developer resource and app store lock-in as factors in its decision. These early adopters are just a trickle for now, but they will embolden many others to follow suit, and before long, the trickle will become a flood. In retrospect, Apple’s decision not to implement Flash on iOS — which created a huge incentive for everyone else to collaborate to rapidly bring out HTML5 to plug the gap — may turn out to have been one of the worst tactical judgements in computing history. Nothing is more inimical to the survival of a proprietary platform than the widespread adoption of an open alternative that wins over large numbers of developers. Of course there will be new innovations on show at next week’s anticipated iPhone 5 launch. For a while, Apple will continue to profit mightily from the leadership it has established with its groundbreaking iOS platform and astonishing devices (I have an iPhone and iPad and love them both). 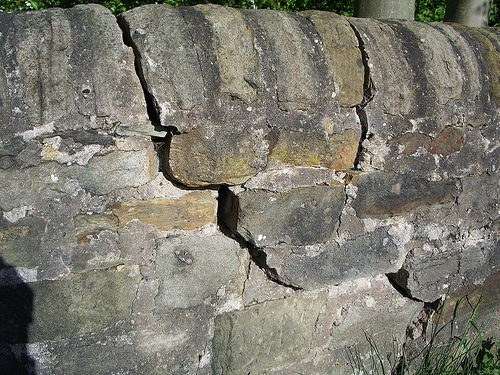 But already, the first cracks in the wall are visible. In the long term, HTML5 will sweep away Apple’s proprietary walled garden. Let’s hope the company handles the outcome better than AOL did.